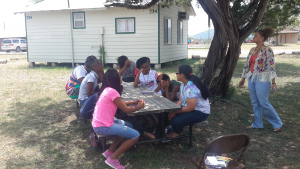 June 27th at First Met; The Place Where You Belong, the Summer Camp performed “Aunt Lola’s Cafe” from local Playwright Henry H. Edwards, Jr. Local Choreographer Cherita Judson supported Director Edwards in staging the play, choreographing and rehearsing music dance routines and songs. 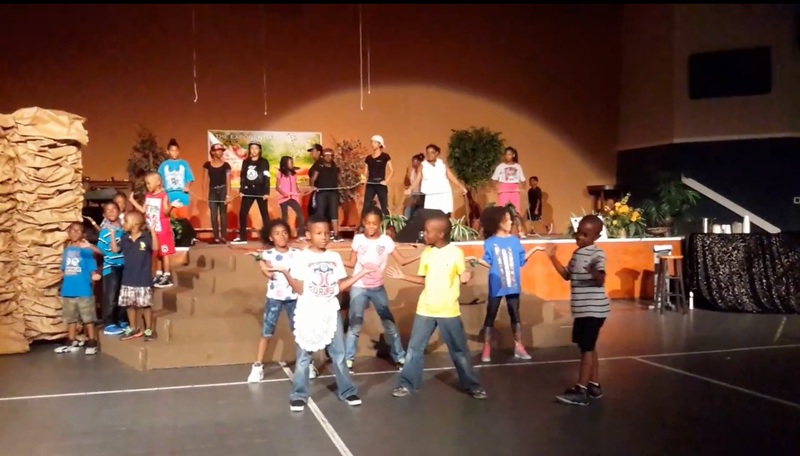 The music was taught and directed by the First Met Music team member and Christian Psalmist Gabrielle Hynds. Both the play and staff were filled with the talent, which made the production a grand success. The story is about a young lady named Charlie, who is being bullied and over looked by a gang lead by Tiger. Charlie is both young and loved by the community, who value his presence and him as a person. The tension emerges as Charlie and Tiger & Gang encounter each other at local diner; Lola’s Cafe. The entire community is placed the in the midst of tension built from a local gangs power and their potential to harm the flow of customers with their presence. They are forced to speak up or remain silent about the injustice they witness, and thus the scene is set. Charlie; played by young star budding star Lela Brinkley was powerful. Her understanding of the character and timing helped the storyline translate to the audience. 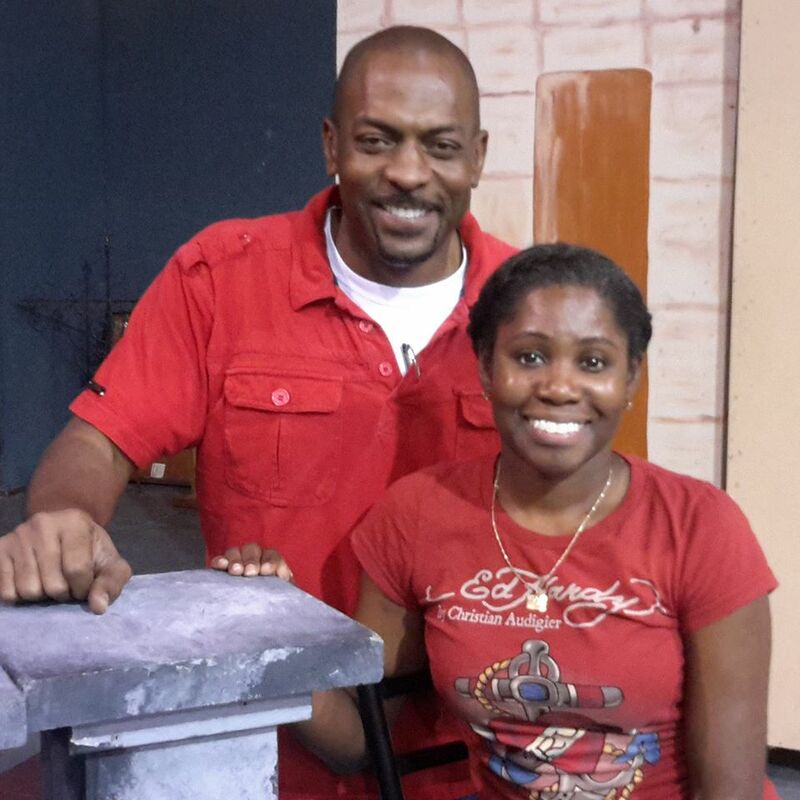 Joining her is the talented Adaiah Ogletree, who was cast as Tiger. Her performance of Tiger helped the audience learn a valuable lesson and carried the bulk of the comedic pieces. The combination of message and comedy keeps the script moving and the audience attentive. The entire play can be seen on Youtube at Aunt Lola’s Cafe. This entry was posted in First Met Event Reviews and tagged Aunt Lola's Cafe, Cherita Judson, Gabrielle Hynds, Lady Like Moi, Lela Brinkley, Pastor O, Play. Camp Exalted each year helps us rediscover God, re-encounter worship, and reconnect the generations. A week away from the distractions help refocus each attendant as well as quiets the world so that His voice can be heard. While teaching the 8th grade class, A young lady found it difficult to read the physical Bible, complaining about the font size. She was given a cell phone with a Bible Application and suddenly she read smoothly. When comparing the fonts, they were almost identical in size however were different style of fonts. It became apparent that her familiarity and comfort with the phone as a medium was better than her comfort with the physical book. 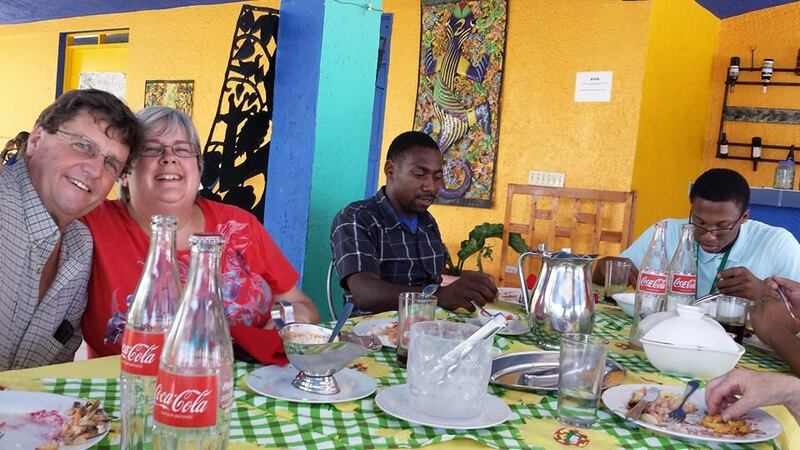 Our Mission Team was blessed to serve along side Missionary Susan Rice and the Go Now Team. 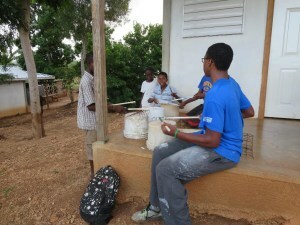 Here is a blog reporting on the Haiti 2014 Mission. When I last was able to blog the team from First Metropolitan in Houston had arrived. What a great time we had with them. It was a small group, but they did some great work! They helped with loading food. We visited a couple orphanages and then headed out to the country. They were a great help with painting, the kids loved them and probably one of my favorite things was when Nehemiah pulled out a bunch of drum sticks and set up a drum section on the porch with all the kids. We had buckets and pans as well as a few water bottles with sand in them. He was so good at getting them all drumming together, they sounded like a real drum line! They kept coming to play and hear the drum line. 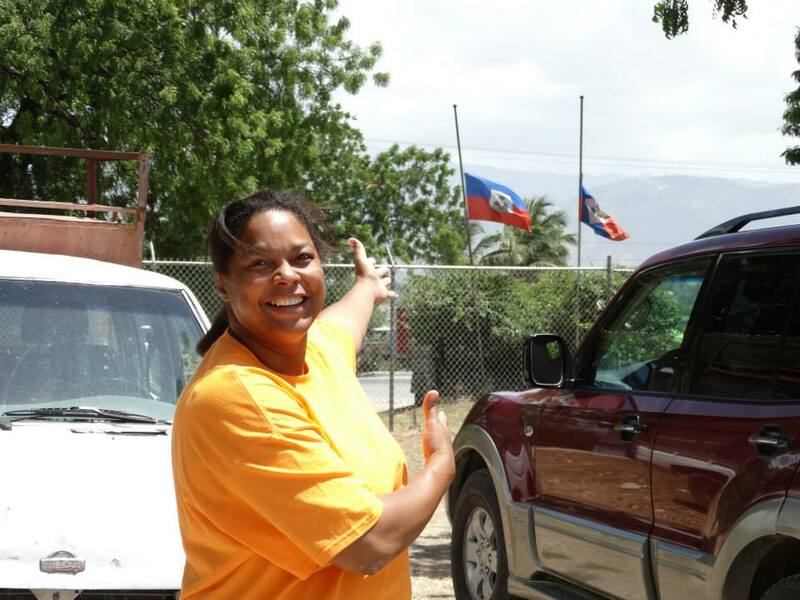 This entry was posted in First Met Member Highlights and tagged Go Now Team, Haiti, Haiti 2014, Julliette Shepherd, Missions, Nehemiah Francois, Pastor O, Susan Rice. The Missionaries from First Met spent their final days in Haiti working on a Beautification Project at an orphanage in Fon De Negres, Haiti. The American dream was once described as a husband wife, two kids, a dog surrounded by a white picket fence; ironically, this was the focus of our Missionaries final project. Though considered part of the American Dream, our group spent their time creating for the orphans a fence that represented the love, purity and protection of our Lord and savior. Taking their time, working through each spindle, the team slowly began creating an image of heaven hear on earth for those that the Lord cares and watches over. While orphans watched, the love and presence of Christ was modeled for all present, offering the children security, and teaching the missionaries patience and sacrifice and what it means to share love in a practical way through hard work. 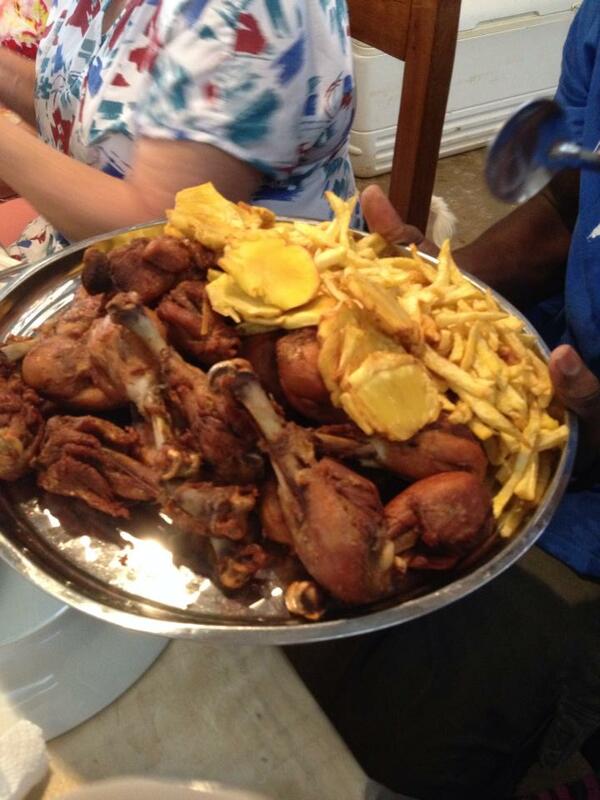 A pleasant note to the Missionary Field was the delicious delicacies found in Haiti. “The food was very delicious each day”, Missionary Francois recalls. The meals were a combination of home cooked meals from the camp and local eateries. Accompanied with great people, the meals created stronger bonds with the people serving, as the needs of the missionaries and the people were closer discovered through dialogue. 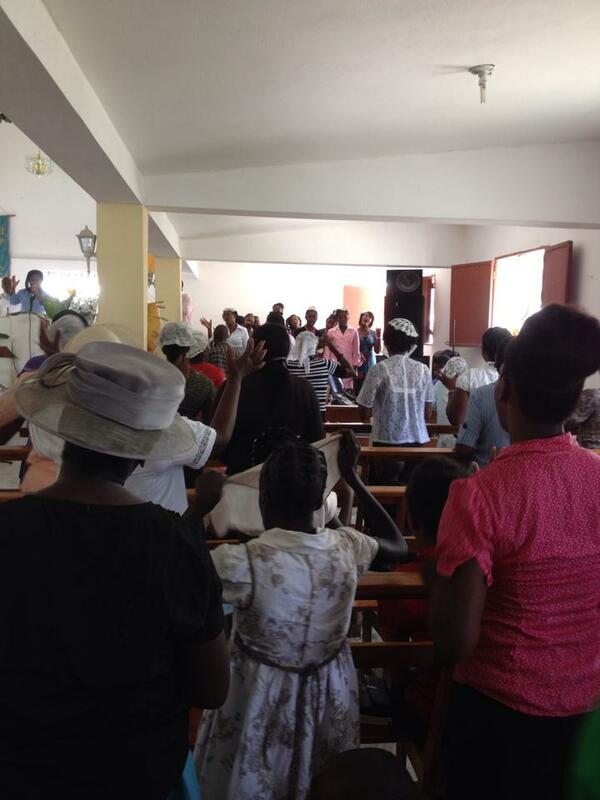 Sunday, the Missionaries were treated to worship with saints in Haiti. The worship service was spirited and included a powerful message from Isaiah from with the congregation followed the minister from Bibles that were translated recorded in French. The building though small, was beautifully lit with the natural light provided from our Lord. This added to the worship experience in which our Missionaries praised God for the journey and for the provisions that made serving and worshiping possible. This entry was posted in First Met Event Reviews and tagged FirstMetChurch, Haiti, Lady O, Mission 2014, Missionary, Pastor O. 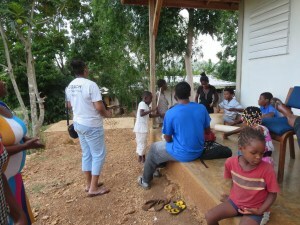 The weekend brought and opportunity to rest and recover for the Haiti Mission Team of First Met. Missionary Shepherd described Sunday as “relaxing”. 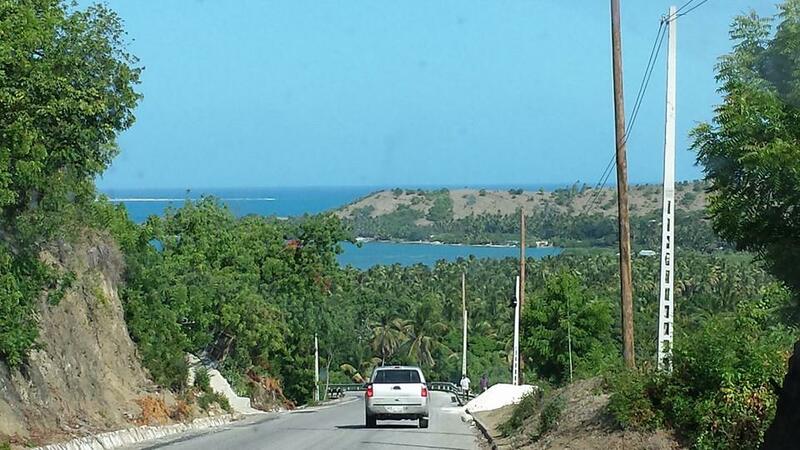 The team drove to the peninsula to Fort de Oliver, where they were able to “enjoy the beautiful beaches of Haiti.” “Unbelievable” she described. A highlight of the journey was meeting a 95 year old Haitian man who was filled with life and vigor. 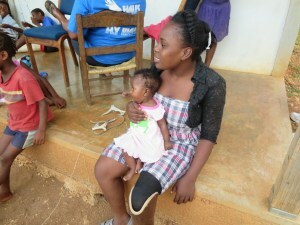 This entry was posted in Uncategorized and tagged FirstMetChurch, French, Haiti, Lady O, Missionary, Pastor O. 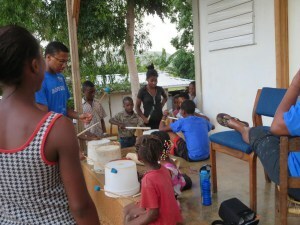 The first assignment for the Mission Team was to serve residents at a local orphanages; one named Bienvenue aux eta Blissements deL’Institution Mixte Decilia Francois. Their immediate task was to unload, load and deliver food to the residents and then serve the residents of two local orphanages. Food is shipped abroad and then stored in a local storage, and then delivered as there is need by truck to a variety of site. 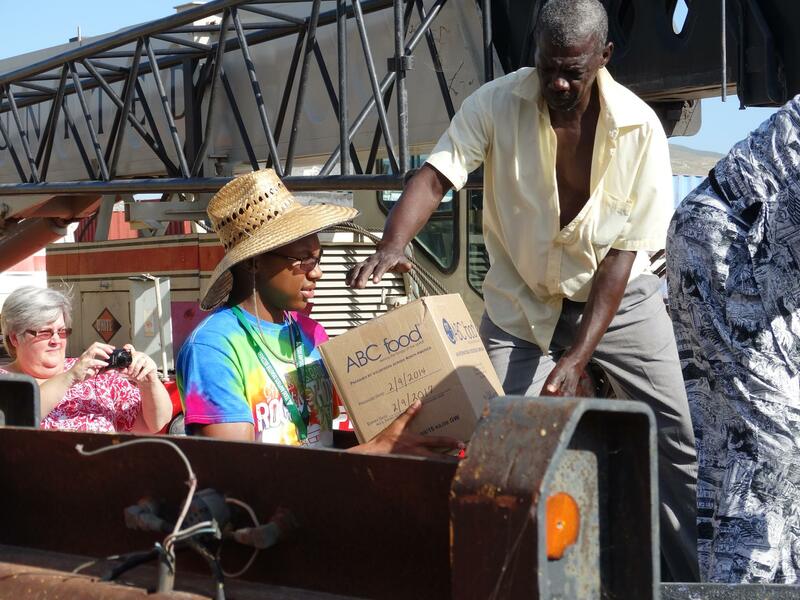 Missionary Nehemiah lead the charge unlading food packages along side of Baptist General Convention of Texas (BGCT) staff, We Care Haiti staff and local workers. 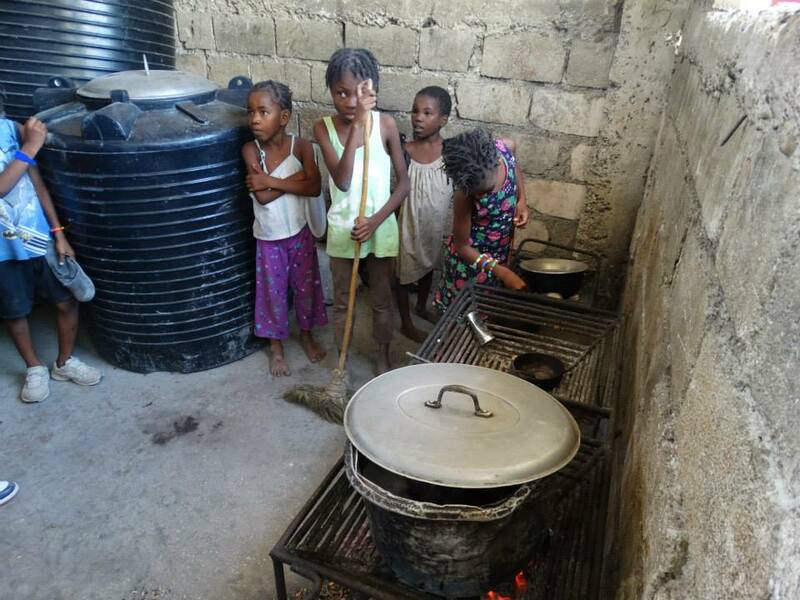 The ongoing project of the BGCT and We Care Haiti is to serve the Orphans foods that are high in nutrition. Insuring that youth have healthy foods is key to development and insures that they are physically healthy and able to withstand disease and or sickness, extending their lives, and most of all, shows the love and care that our Lord and Savior has for his children. 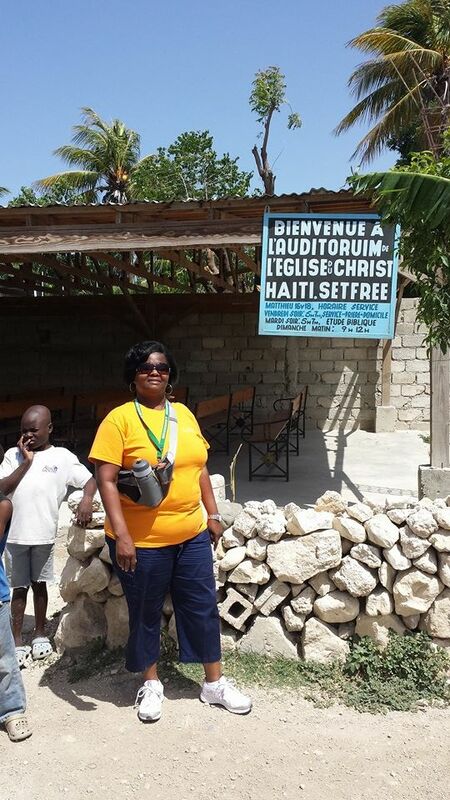 This entry was posted in First Met Event Reviews and tagged BGCT, Haiti, Mission 2014, Mission Trip, Pastor O.